﻿﻿At the Air Force Day celebrations in New Delhi on Saturday, 8 Oct, India’s Air Chief Marshal MAK Browne admitted that the old warhorse, Russian fighter plane, MiG-21 was difficult to fly, particularly for young pilots, which is why he says, “experienced aviators are being put into the cockpit”. But, logically speaking, should the focus not be on training the young pilots instead of putting the older ones at risk? Even though the Air Chief Marshal mentions that all MiG 21s will be phased out by 2017, should the young aviators be completely exempted from flying these aircraft? I think it is this very lack of focus in developing Indian fighter pilots that had cost the country a lot. 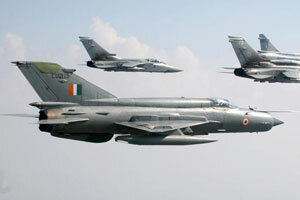 Out of the six air crashes involving IAF planes this year alone, four belonged to the MiG-21 series. Of the total 976 MiG-21s inducted in the service since 1960s, over half of them have been lost in air-crashes. And a total of 170 pilots were killed in them in the last 50 years or so. So, while I agree that the MiG 21s are old planes, I think it is not the jets alone, but the lack of appropriate training to the young, that has caused irreparable loss to India. The planes are good. For those wishing to know more, let me explain that MiG-21 is a supersonic jet fighter aircraft, first designed by the Mikoyan-Gurevich Design Bureau of the erstwhile Soviet Union, and is arguably of the largest selling fighter jet series. Some 50 countries over four continents have flown the MiG-21, and it still serves many nations a half-century after its maiden flight. The fighter plane made aviation records. At least by name, it is the most-produced supersonic jet aircraft in aviation history and the most-produced combat aircraft since the Korean War, and it had the longest production run of a combat aircraft (1959 to 1985 over all variants). So, now, even if third and fourth generation fighter aircraft are being made available, the knowledge and skill of flying these amazing fighter planes should not be allowed to fade away easily. Shalom or Salaam. Don't they both mean, Peace? What's the Road Ahead for Bahrain's Traffic?